You got the Broken Floorboard! Since the last post, we’ve continued adding lots of polish to the game. Samuri has continued his art rework, and we now have almost all the tiles we need, and a lot of the items. I’m currently in the process of tightening up the combat: fixing weird hitboxes, making sure enemies telegraph their attacks, improving animations, etc. We’ve added a bunch of new content too! At the start of the game, in the shed next to the school, instead of a wooden sword, you now get a whip and a broken floorboard as your first weapons. The whip doesn’t do damage to enemies but does stun them. And it can be used to pull them into whacking range. The last item I’m showing off today is the axe, which can be used to cut down trees. Most trees become impassable stumps when you cut them, but a few unveil secret clearings with puzzles and treasure… You should use this axe when you find a lot of trees together! 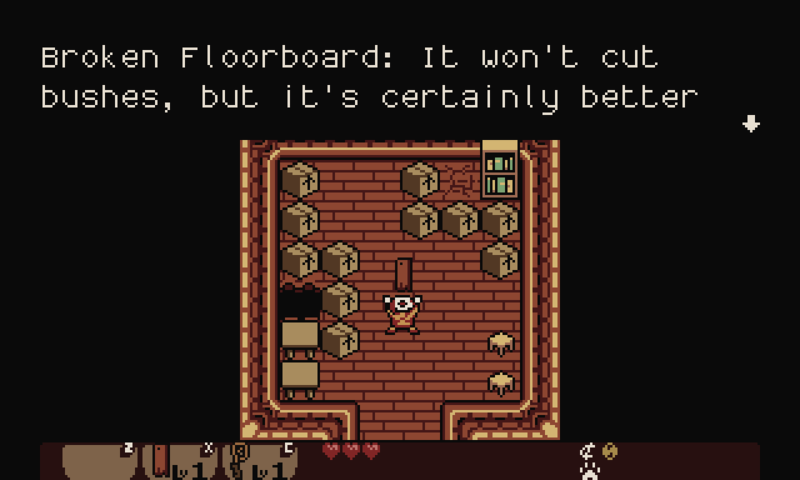 Lastly, the game now renders in widescreen, so no more black borders, yay! Rework the sprite/animation system to be more flexible, allowing better enemy animations. 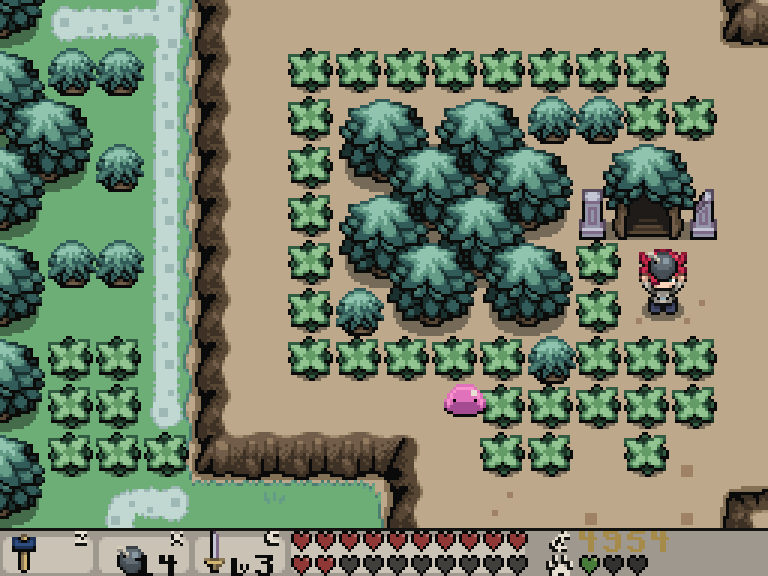 Continue making enemies telegraph their attacks, and improve the functionality of Lenna's equipment and weapons. Rewrite the dialogue and add/modify a few events in the storyline. The beta8 update is still a few months away. I want to release it when it has all of this polish and Samuri’s art in it. Until next time!